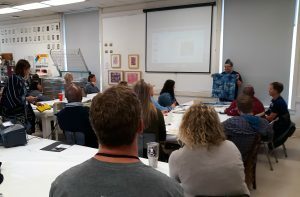 In November, more than 180 art teachers from across the state converged on the UA Department of Art and Art History for a one-day dawn to dusk conference to exchange ideas about teaching art to Alabama’s K-12 students. 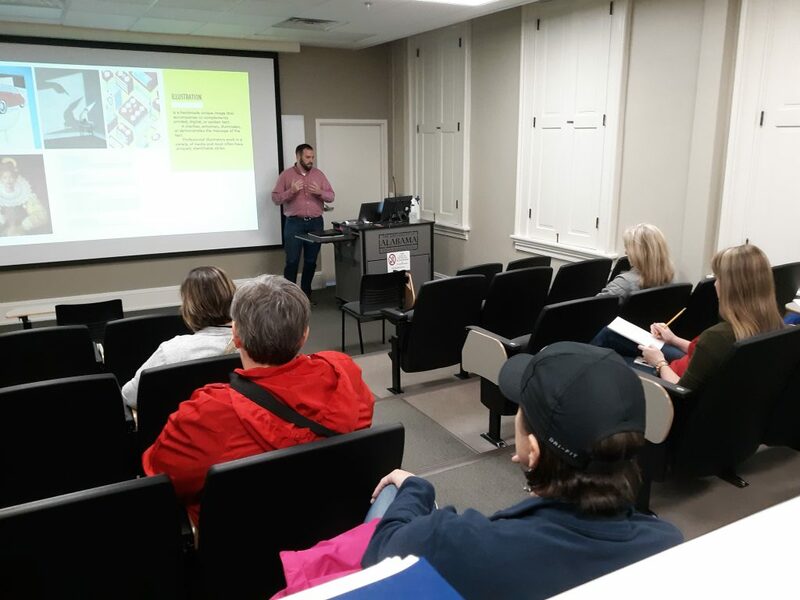 Members of the Alabama Art Education Association held their annual conference Friday, Nov. 2, 2018, at the UA Department of Art and Art History. Professionals in art education shared their experience and expertise with new ideas, best practices and approaches in 28 workshops, talks, demonstrations and panel discussions, as well as some fun activities. The entire production was organized and coordinated by AAEA volunteers and our office assistant Holly Brewer. 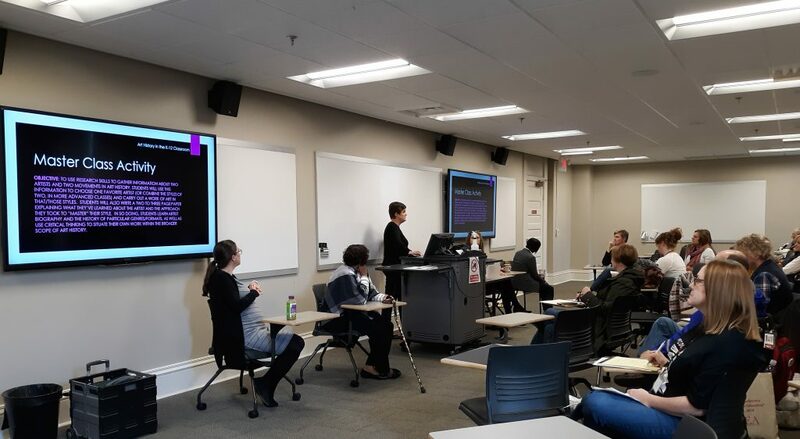 Some of the presenters included our own faculty and staff: Emily Bibb, Jonathan Cumberland, Dr. Lucy Curzon, Allison Grant, Sarah Marshall and Nic Tisdale. Craig Wedderspoon held an aluminum pour for the teachers assisted by UA Art Foundry staff Joe McCreary, Mike Eddins, Patrick O’Sullivan and Eric Nubbe. 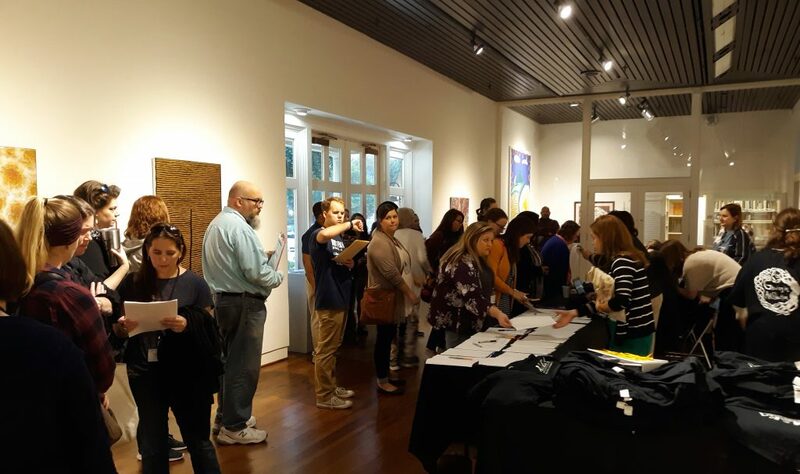 Welcome reception and registration for AAEA 2018 attendees in the Sarah Moody Gallery of Art. “Photographs and Visual Literacy” presented by Assistant Professor Allison Grant, photography, at AAEA 2018. 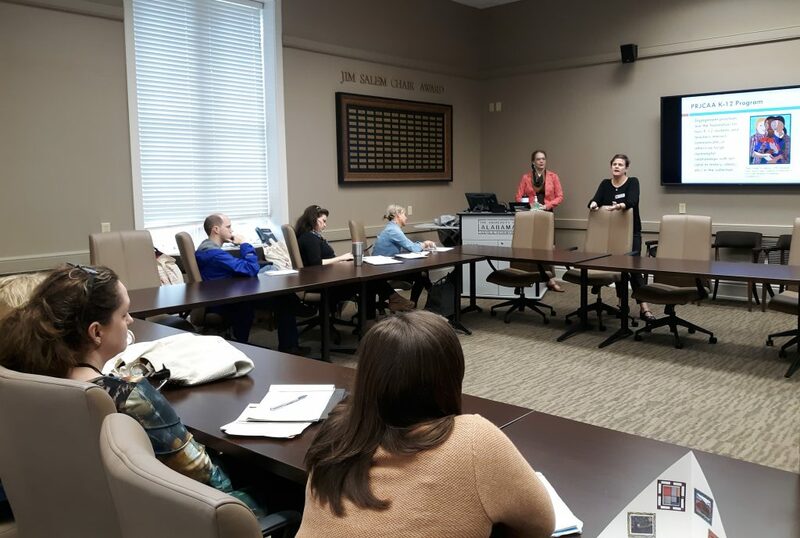 “Presenting the Paul R. Jones Collection” with Collections Manager Emily Bibb and Dr. Lucy Curzon, associate professor of art history and Director of Education and Outreach, Paul R. Jones Collection of American Art at The University of Alabama, at AAEA 2018. “What You Can Do with Graphic Design” with Assistant Professor Jonathan Cumberland, at AAEA 2018. 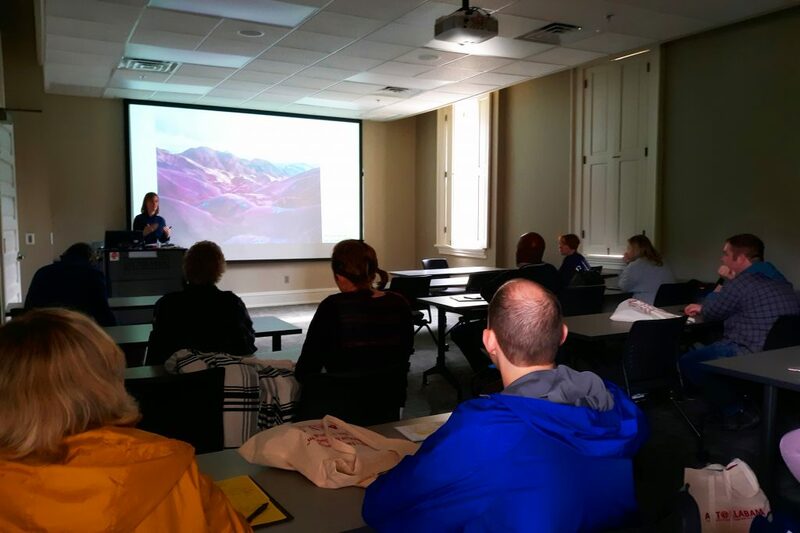 “Art History in the Studio Classroom” with Dr. Lucy Curzon at AAEA 2018. 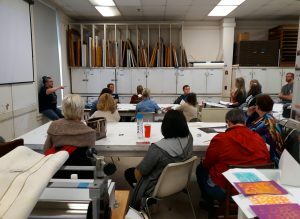 “Printmaking Presentation” with Associate Professor Sarah Marshall at AAEA 2018.